Very little beats the feeling of freedom offered by an RV or Motor Home. Each day a person or whole family can wake up in one place, get ready for the day as if at home, travel to a whole new place over the course of the day, get ready for bed as if they had never left home. Something to think about: The faucets and showers in motor homes use water from whatever and whichever filling station the motor home’s owner finds when it comes time to refill the storage tanks. Where did that water come from? Do you know? Probably not. If traveling out in an area where a lot of agricultural activity takes place you may want to think about the possibility that the water contains harmful herbicides/pesticides like as atrazine. Additionally, potentially harmful levels of nitrates and/or nitrites may also exist in the water… especially if the water comes from a well. Note: As far as we know, the chlorine tablets people add to motor home water storage tanks do nothing to reduce or eliminate the risks associated with ingesting pesticides (i.e. atrazine), nitrates, nitrites, heavy metals such as lead, lindane, MTBE, and other possible drinking water contaminants. Does anyone make water filters for RV’s and motor homes? Culligan RV-EZ-3 — Reduction Claims Validated for this unit by NSF: Atrazine Reduction, Cyst Reduction, Lead Reduction, Lindane Reduction, Turbidity Reduction, Chlorine Reduction (Aesthetic), Nominal Particulate Reduction (Class I), Taste and Odor Reduction. Culligan RC-EZ-4 — Reduction Claims Validated for this unit by NSF: Chloramine Reduction, Chlorine Reduction (Aesthetic), Nominal Particulate Reduction (Class I), Taste and Odor Reduction, Cyst Reduction, Lead Reduction, Mercury Reduction, MTBE Reduction, Turbidity Reduction, VOC Reduction. 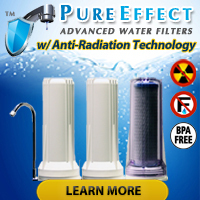 The Culligan RC-EZ-4 functions as a direct upgrade to the filters included in the EZ-1 & EZ-3 RV Water Filter Systems. Each system, as you can see, removes/reduces a different number of potential drinking water contaminants. At this point we would NORMALLY suggest water quality testing as an efficient and effective means of determining which RV Water Filter System a person should consider… but since motor homes and TV’s draw their water from a different source each time they fill up, that may not make sense financially. So, rather than spend a small fortune on testing supplies everyplace one stops to fill up the water tank(s), why not simply invest in a water filter so you don’t have to think about it anymore? Clearly no one solution will work for all those who roam about the country in RV’s but no matter how you slice it, some amount of filtration when facing a wide range of potential contaminants in one’s water supply will always make more sense than having no filtration at all! Testing the water before you fill up? Although in most cases people probably do not have a whole lot of options when it comes to where they can fill up their RV or motor home water tanks while traveling through unfamiliar areas, it probably would not hurt to run a spot check on the water before hooking up. A quick check for basic (and important!) drinking water parameters may keep you from filling your tank(s) up with water that will continue to harm you and your family until all its contaminants get diluted — some 5 or 10 fill ups later, depending upon how far you drain tanks down before refilling. Remember: You always have the option of using bottled water for a brief stint if the water at a one particular filling station fails to make the grade! 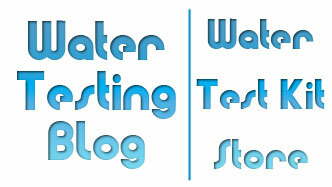 Water test kits for RV’s and motor homes? Hmmm… Until now we never really gave it a lot of thought. Having said that, both SenSafe and WaterSafe make excellent, and highly portable, water quality test kits that pretty much anyone can afford and use.